Our pure wool Balmoral throws are ideal draped over the foot of a bed or over the arm of a chair. 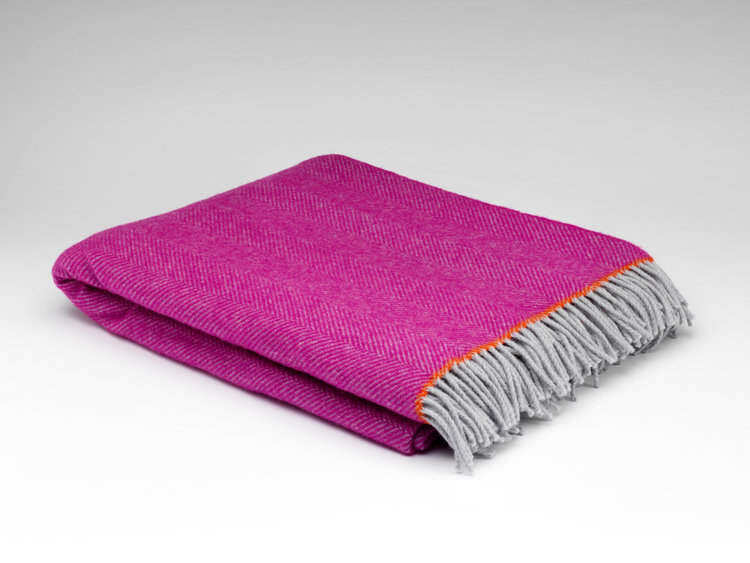 A more relaxed option to our super soft lambs wool, they also make perfect picnic blankets. The added pop of orange at either end gives the blanket a playful edge.